Last Sunday was my birthday and while nursing a surprisingly mild hangover after Grand Final Day I sat down and tucked into this; MoonDog's Bock Naked. It's described as a Chipotle Dark Lager which could be brilliant and at worst could be interesting. This is the first beer in a long time that I've been unsure what to classify it as. I ended up not being able to decide so picked both styles. It's a 7.7% Bock - ergo a Doppelbock; but it's also Chipotle infused, in my mind a Chili beer. Anyway semantics aside, this is one of 3 new releases from MoonDog and the other 2 have been great so I'm expecting good things. 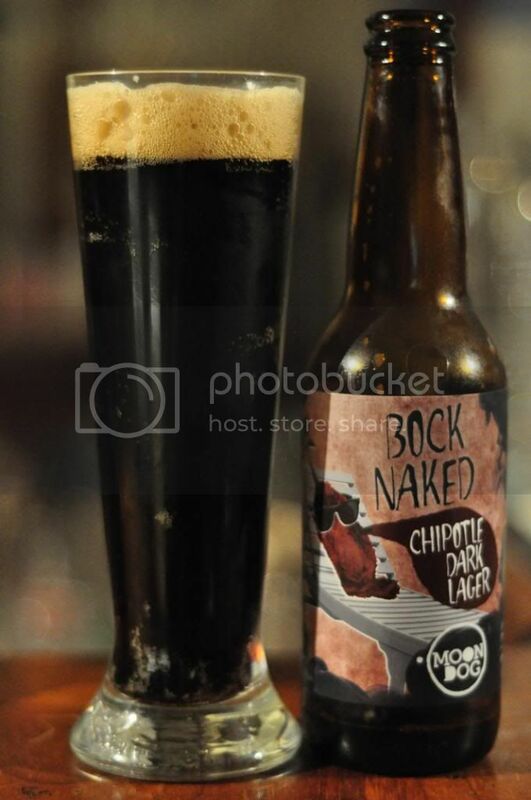 As expected Bock Naked poured a very dark brown colour with a tan head. The head dissipates quite quickly and has a number of large bubbles not long after first pouring. When the head finally settles there is almost a finger of foam left and this leaves a real impression on the side of the glass. 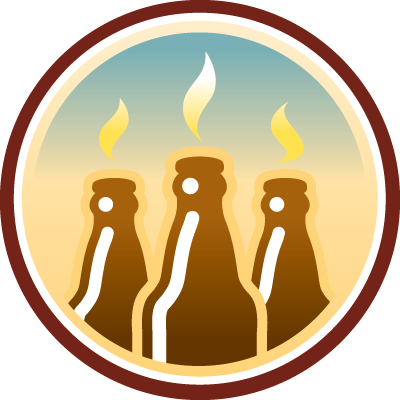 It's a really nice looking beer to go with a typically 'kooky' MoonDog label. The nose is where the Chipotle is first noticed. By no means is it the dominant aroma but it holds it's own against a bed of dark chocolate, surprisingly sweet malts and even some dark fruits, particularly dates (random; but I'm pretty sure that's what I'm smelling). Bock Naked from MoonDog is a really interesting beer. And not interesting in the bad way I was alluding to at the start. There's plenty of chocolate and sweet malt initially before a hint of alcohol and Chipotle spice comes through. As the beer warms the spiciness becomes more pronounced. It's a nicely crafted beer. Just like in their Mummy Have A Bite, another recently released beer, MoonDog have shown flavour restraint; something that is often forgotten in craft beer. Bock Naked is a simple yet complex beer at the same time, I think I'm going to need to sample a few more to come to a final conclusion on this beer, but for the moment I really like it and would recommend it to all craft beer lovers.